OSWEGO – The H. Lee White Maritime Museum at Oswego will host the third installment of its 2018 History Lecture Series on September 8 at 11 a.m. featuring Ranjit S. Dighe, PhD. Titled “Canals & American Economic Development,” Dighe’s discussion will provide an overview of the immense importance of canals in America’s westward expansion and development during the first half of the 19th century. “The Erie Canal spawned a canal mania, including plans for many more canals, which, together with river and ocean transportation, would have made the eastern half of the Lower 48 one big and well-connected market,” Dighe said. Railroads eventually superseded canals throughout the second half of the 19th century, but those canals played a vital role in American growth. Dighe is professor of economics at the State University of New York at Oswego who specializes is American social and economic history. 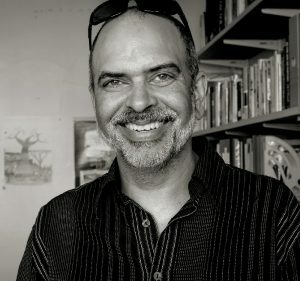 He has served as president of the Economic and Business History Society and is the annotator-editor of The Historian’s Huck Finn: Reading Mark Twain’s Masterpiece as Social and Economics History and The Historian’s Wizard of Oz: Reading L. Frank Baum’s Classic as a Political and Monetary Allegory. His work has been published in Research in Economic History, Essays in Economic and Business History, Social History of Alcohol and Drugs, and other journals. He has done extensive research on the Great Depression, Prohibition, and American beer tastes, among other topics. Dighe holds a doctorate in economics from Yale University and a bachelor’s degree in economics from Oberlin. The H. Lee White Maritime Museum’s History Lecture Series is a free program, open to the public. The Maritime Museum and Treasure Chest Gift Shop are open daily, 1-5 p.m. (10 a.m. – 5 p.m. in July and August) and are located on the West First Street Pier in Oswego’s Historic Maritime District. For more information regarding this or other museum programs, contact the museum at (315) 342-0480, or visit hlwmm.org.